Treat yourself to a daring 'do with this Chic Crystal Headband! 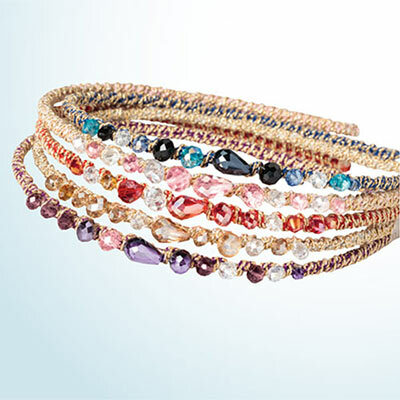 Each band is wrapped in soft cord for an ultra comfortable fit and adorned with faceted glass beads. Handcrafted.